Whir, zing, clang, crash! 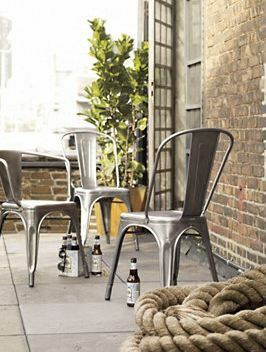 With a riveting retro vibe and a modern metallic look, “Industrial Chic” design is a hot new trend that’s here to stay. 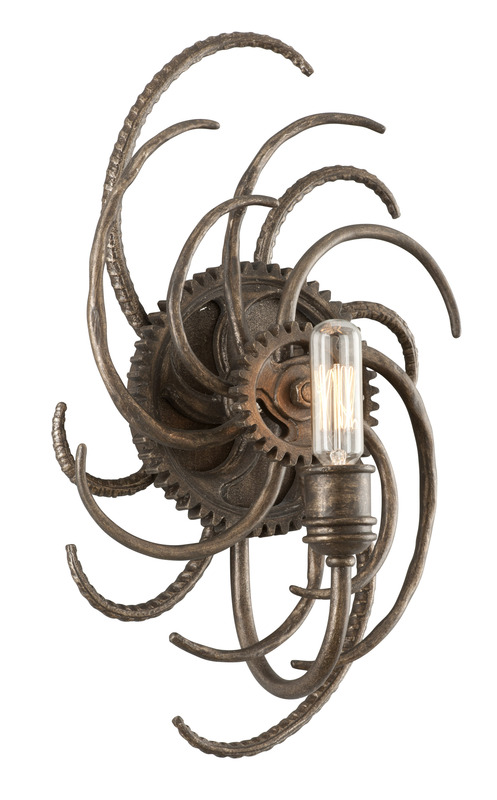 Exposed gears, unrefined piping and weathered finishes are just a few of the elements that comprise this edgy aesthetic. Infusing a factory-like look into your home doesn’t have to leave you working overtime. 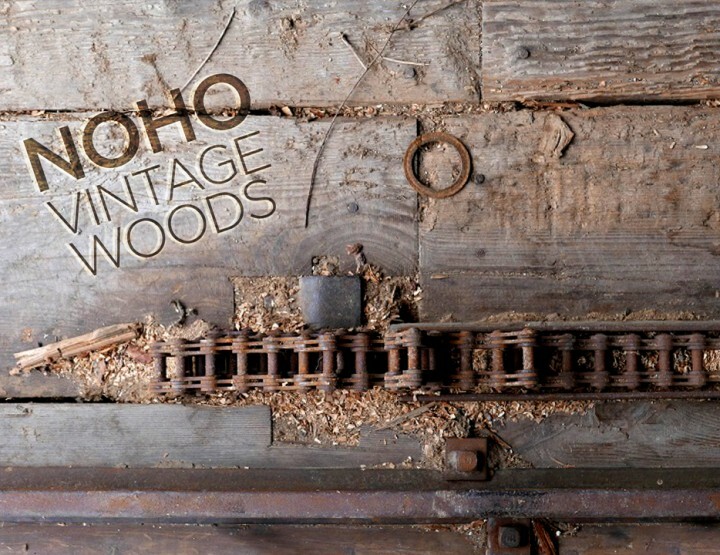 Here are some of our favorite products sure to help you start a mini industrial revolution. Now this is some steampunk we can definitely rock out to. Revolution blurs the line between abstract, sculptural art and practical source of illumination. 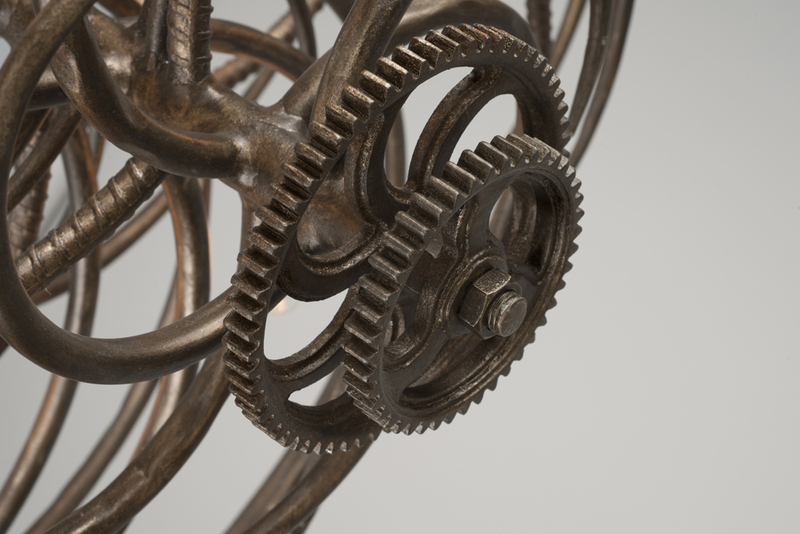 The piece’s hand-forged iron rebar arms, done in a revolution bronze finish, appear to be part of a mechanical device in motion. 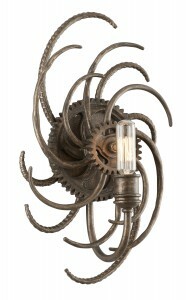 The fixture is accentuated by hand-forged iron gears and early electric style lamps. 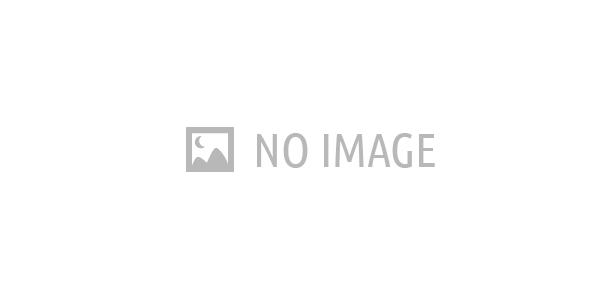 It is available as a ten, six or five light hanging fixture, or as a one or two light sconce. Metalworker Xavier Pauchard may have brought the art of galvanizing steel to France, but his Marais A Chair took the craft to new heights. This quintessential cafe chair that once graced the decks of the SS Normandie ocean liner takes 100 manual operations to create, making each one unique. The slight surface abrasions and markings characteristic of the sheet steel material add to its hardworking industrial aesthetic. Finished with epoxy varnish or white powder coating, the Marais A Chair is certainly an extraordinary machine. 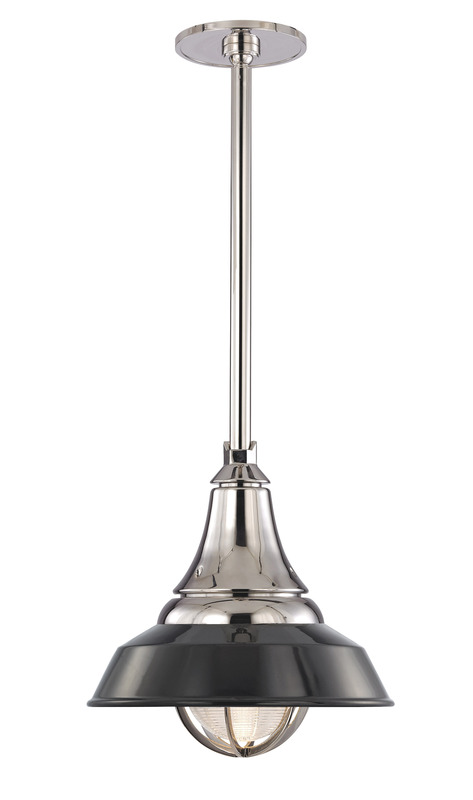 Paying homage to the 1930s when factories replaced workbench-mounted lamps with more efficient overhead fixtures, Lansing features a distinctive RLM Warehouse Shade and die-cast diode guard that protects the prismatic glass diffuser. The fixture redefines the old school style by incorporating 12 1.2 watt, energy efficient LED diodes. 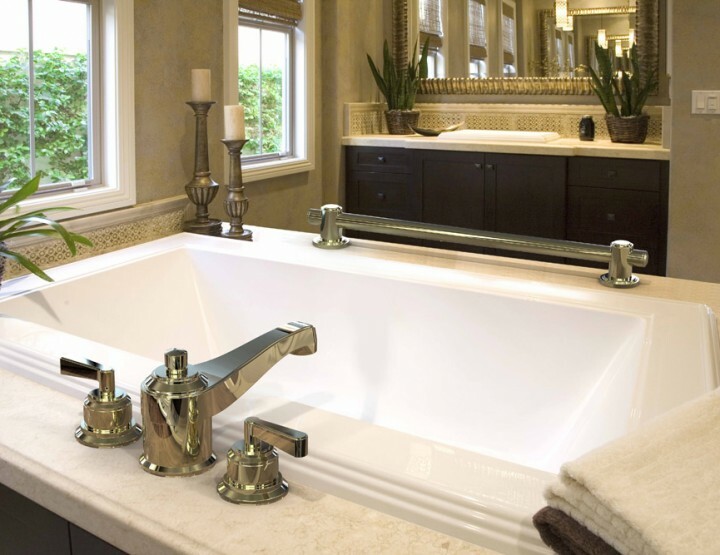 Available in polished or satin nickel finishes, which may be combined with black or white finish options. 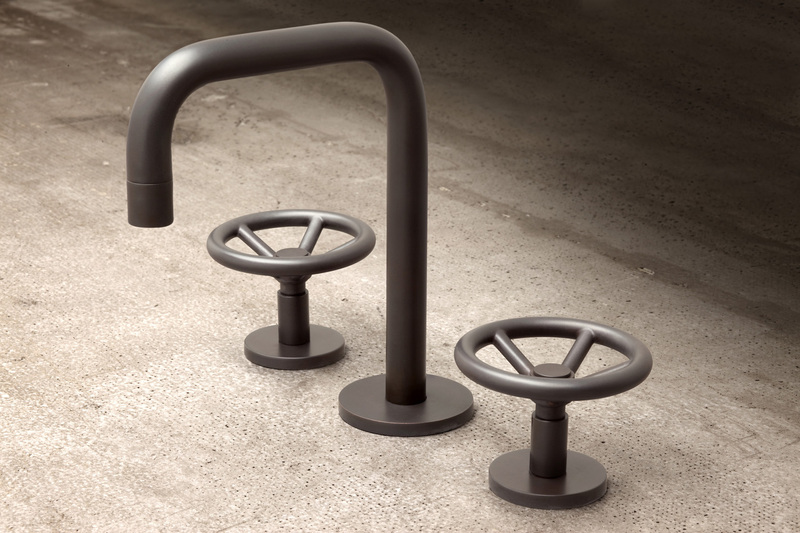 The Brooklyn faucet — a collaboration between Brooklyn-based manufacturer Watermark Designs and Incorporated NY Architecture & Design Studio — emulates the artisanal borough from which it hails. 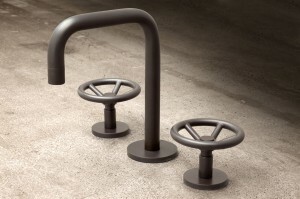 Made from solid brass and finished in oil-rubbed bronze, the Brooklyn faucet is an industrial artifact, treasured by the most discerning of urban loyalists. 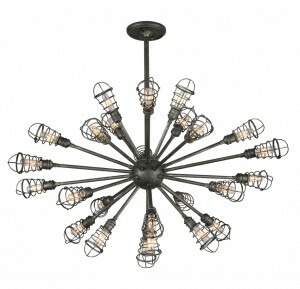 Coming down the pipeline is Conduit, another industrial design from Troy Lighting. Conduit’s intricate sculptural pipelines channel the industrial chic aesthetic at maximum capacity. Each pipe fitting is finished in old silver and capped with wire cages wrapped around early electric style lamps. 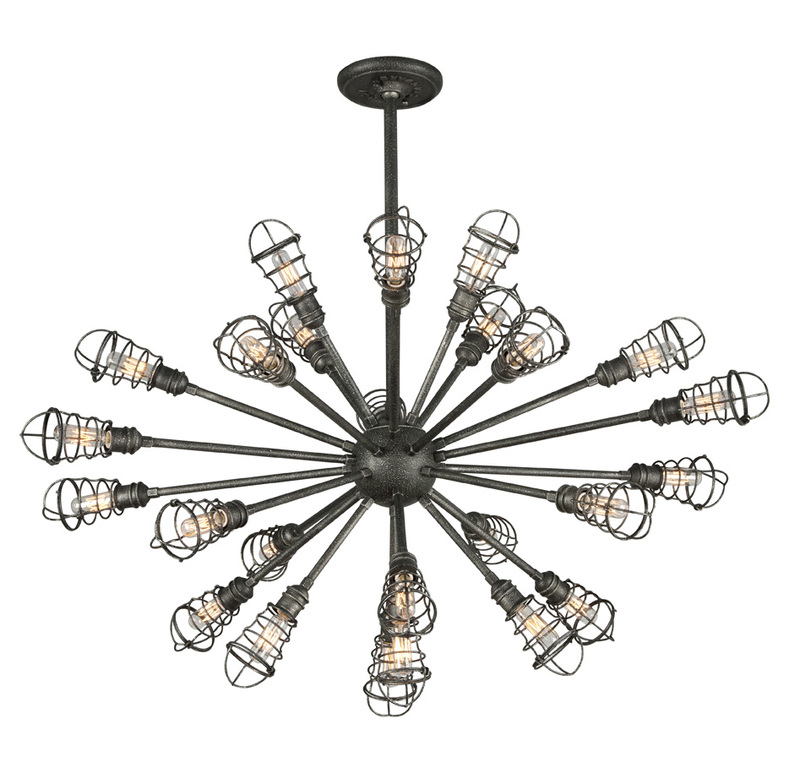 The collection includes Conduit island, the Conduit starburst design, angular Conduit chandelier and a two-light wall sconce model. 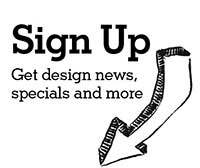 Got a favorite design fresh off the assembly line? Let us know @Styleture.